4 Months Prepaid. Your membership includes full access to our state of the art gym, unlimited access to all 40 weekly classes, a members app, 1:1 assessments and custom made training programmes and fitness reviews every 6 weeks. Get 12 months for the price of 9! Your membership includes full access to our state of the art gym, unlimited access to all 40 weekly classes, a members app, 1:1 assessments and custom made training programmes and fitness reviews every 6 weeks. Monthly membership plus 19 euro joining fee. Membership includes: access to our gym, unlimited access to all 40 weekly classes, a members app, 1:1 assessments and custom made training programmes and fitness reviews every 6 weeks. 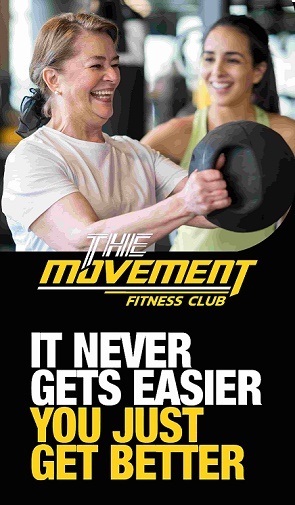 Monthly membership (3 month min.) plus 19 euro joining fee. Membership includes: access to our gym, a members app, 1:1 assessments and custom made training programmes and fitness reviews. Proof of age required. Classes not included. Monthly membership (3 month min.) plus 19 euro joining fee. Membership includes: access to our gym, a members app, 1:1 assessments and custom made training programmes and fitness reviews. Classes included. Proof of age required. The Movement is independently owned and operated by Hartnett Brothers Fitness Ltd.